3 Bedroom Terraced House For Sale in Glasgow for Offers Over £115,000. Exceptional mid terrace property located in the most sought after pocket in the local area this property is a fantastic family home. The property comprises of welcoming entrance hallway, Leading to a fantastic size formal lounge which gives access and aspects across the rear garden. From the lounge is access through to the dining size kitchen which has a range of base ands wall mounted storage units with integrated oven and hob. Completing this level of the accommodation is the WC. On the half landing of the property is the master bedroom offering a bright and airy double bedroom complete with built in wardrobe space and window formation to the front of the property. On the upper level are found two further well proportioned double bedrooms alongside the family bathroom which comprises of a three piece suite. Furthermore the property has gas central heating, double glazing, driveway and gardens. 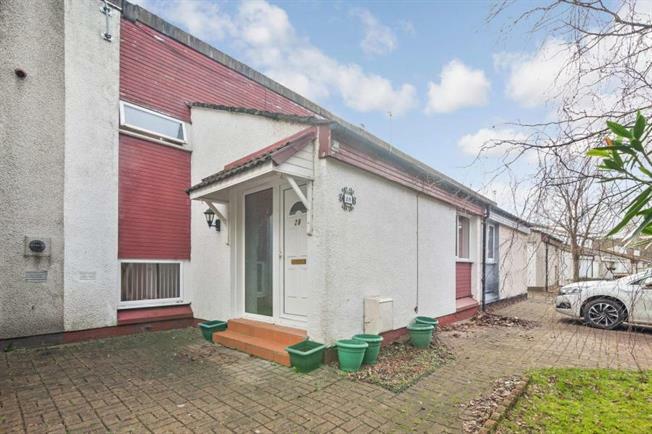 The property is found in this sought after area of East Kilbride not far from local amenities and transport links to destinations further afield.